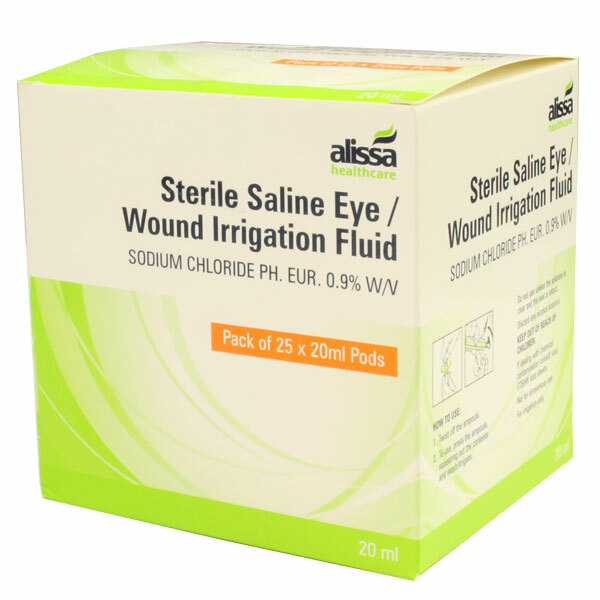 Mostly for irrigation of abrasions when out on an event and no other water available. 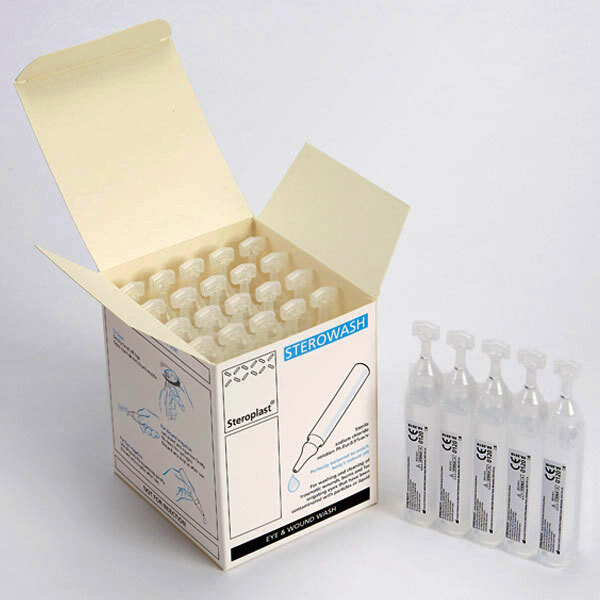 Used in Scout Troop 1st Aid kits, mostly to provide clean water for minor cuts and grazes when away from mains water. Have also used as eyewash. Has long shelf life. Would recommend. Useful to have as a preschool uses our building and it's good for an eye wash in case of getting anything in eyes. 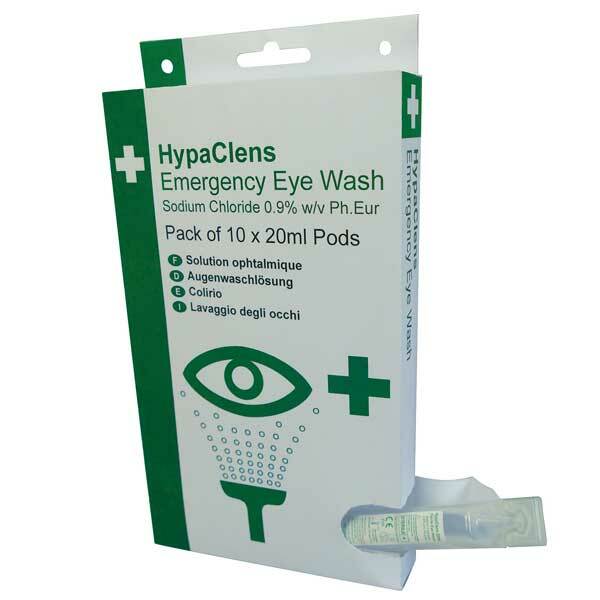 I use this wash for my eyes as being allergic to brands you buy in the chemist, i find this helps with dust/grit in eyes or tired eyes. These individual eyepods are extremely valuable for washing the eye out when irritated. We use these for general first aid on sight and as part of the ADR Driver First Aid Kits. We run a mobile skatepark. The kids get grazes. We rarely use the evewash, but have them in case. 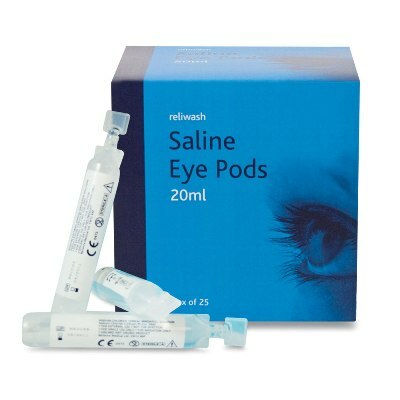 These are ideal for staff who get bits in there eyes, they are individual and easy to use.